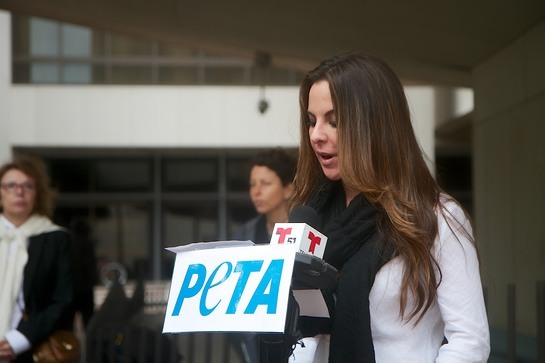 “If you’re thinking about going to a circus that uses animals, please reconsider.” That’s the message in the brand-new PETA Latino video narrated in both English and Spanish by Kate del Castillo. 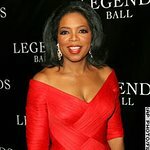 The La Reina del Sur star debuted the video — which reveals how circuses chain elephants and cage tigers for hours on end and whip, beat, and shock them in order to force them to perform — in front of Miami’s Stephen P. Clark Government Center this week, one day before the opening night of Ringling Bros. and Barnum & Bailey Circus. In Miami, del Castillo also answered questions about the letter she sent on PETA’s behalf to Miami-Dade County Mayor Carlos Giménez calling on him to enforce Florida’s law against forcing crippled animals to perform, when Ringling starts its performances at AmericanAirlines Arena. As she points out in her letter, Ringling Bros. routinely forces elephants suffering from painful arthritis and lameness to perform. Del Castillo is part of a growing list of celebrities — including Wilmer Valderrama, Chilli of TLC, and Pablo Azar — who have teamed up with PETA to speak out against circuses that use animals.